ESPN Fantasy Football is just one of the many fantasy services available on the Internet which allow you and a group of friends to draft real-life football players. You�ll then score points based on their performance throughout each week of the NFL season, and league winners will be eligible for all sorts of fabulous prizes. In addition to hosting these fantasy football leagues, ESPN also provides league bulletin boards, sortable fantasy stats, live box scores and multiple draft options. Fantasy video reports are broadcast throughout the week, as well as informative podcasts. 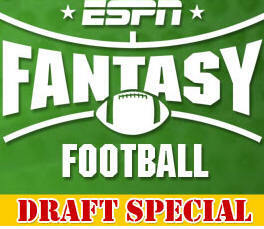 For the 2008 fantasy football season, ESPN has added the auction draft to their list of available leagues. In the auction league, players begin with an empty roster and $200 in �cash.� NFL players are put up for auction, and league owners bid on them until there�s a winner. Auction leagues require more strategy than the usual fantasy draft. You�ll have the chance to get anybody out there, but you have to be careful and not break the bank on one player. This type of league is an excellent option for players tired of the traditional serpentine draft. Defenses also score based on how many points are scored by the opposing offense. This ranges from 10 points for shutting out the other team to -10 points for allowing 46 points or more. Since you�re playing through ESPN, you can count on NFL news being updated around the clock. All you have to do is log onto your league homepage to get the latest information on your fantasy football players. For those of you who believe that practice makes perfect, ESPN also offers a series of fantasy football mock drafts. Try out different strategies and different draft positions, and you won�t even be stuck with the team when it�s over. Mock auctions are also offered for those looking to participate in the newest ESPN fantasy league. There�s a ton of other stuff, including tips on auction leagues, point-per-reception leagues, touchdown-only leagues and two-quarterback leagues. A fantasy football cheatsheet with the top 200 players is also provided free of charge. Custom Leagues – This type of league allows the commissioner to customize the rules and roster size, and drafts can be conducted in a number of ways. Up to 20 teams can participate in a league, and it�s completely free of charge. Keeper leagues can be managed, but no league prize is offered. 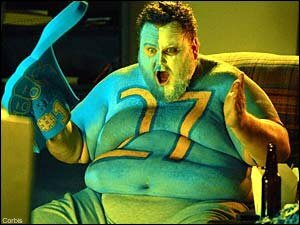 Standard Free Leagues – These fantasy football leagues can be made pubic or private, and owners will start nine players each week and keep seven on the bench. There are a maximum of 10 teams in each league, and the standard ESPN scoring is used to determine weekly winners. Standard Prize Eligible Leagues – These leagues are run by ESPN, and all trades are reviewed by the site administrators. There are no keeper options, and the entry fee is determined by the type of league. The grand prize winner gets a VIP trip for two to Hawaii during the week of the Pro Bowl, plus a big screen television, Playstation 3, video games and much more. Players from the following states are not eligible for prizes: Iowa, Arizona, Louisiana, Maryland, Montana, New Jersey, Tennessee, North Dakota, Washington and Vermont. Since they�re the worldwide leader in sports, ESPN also offers a whole host of other fantasy games. These include Fantasy Stock Car, Fantasy Baseball and Fantasy Basketball. Mini-games such as Bass Fantasy Fishing, Best Ball Challenge, ESPN Poker Club and EURO Pick�em are also available. Plus, you can head on over to the ESPN Arcade and test your skills at QB Pass Attack or other football flash games.